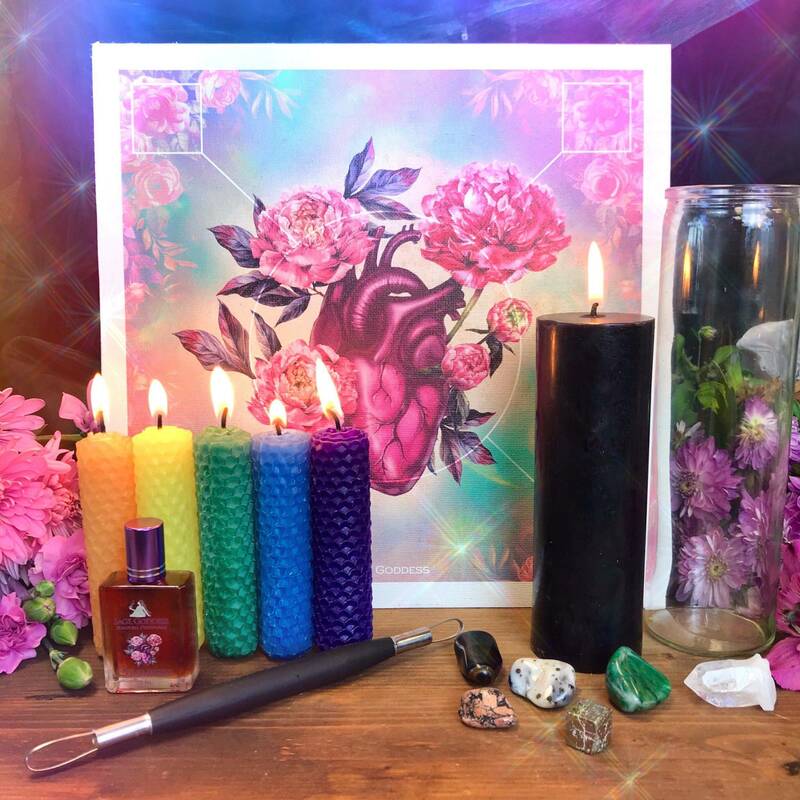 These Magica Perfumes are intended to be used during your ritual work to call in, balance, and integrate both light and dark. 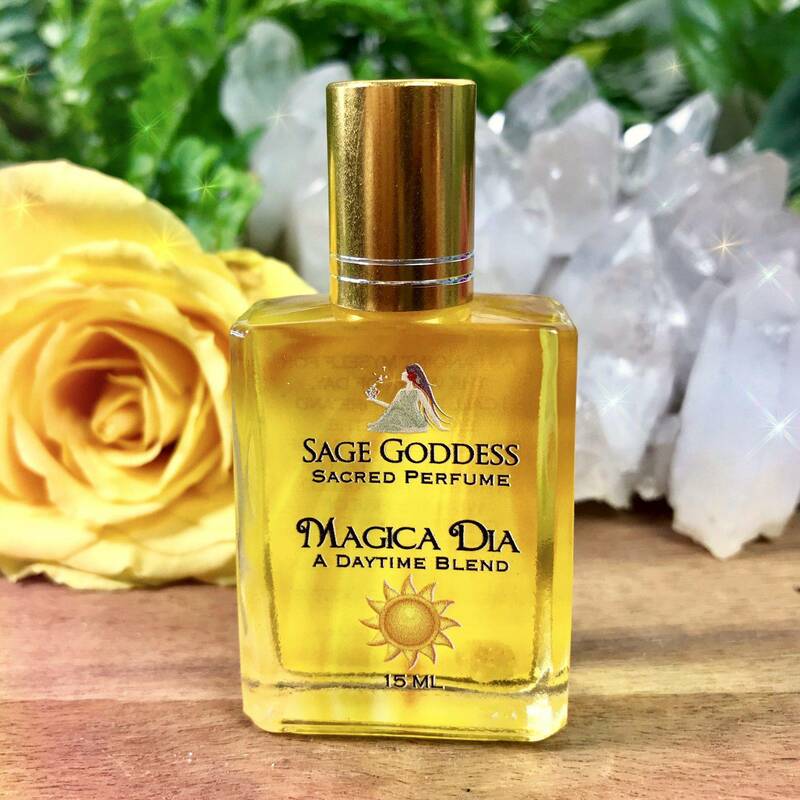 Magica Dia amplifies the energies of day, Sun, and light. Magica Nocta amplifies energies of night, Moon, and shadow. When we’re in balance and flow, we can invoke our most powerful work in the energetic realm. Light and dark represent the duality of ourselves and life. We’re complex beings with light and shadow aspects. Honoring our whole selves helps us grow and evolve into who we’re meant to be. Acknowledging our strengths, weaknesses, and preferences speak volumes about where we need to strive for balance, as well as where our magical gifts lie. 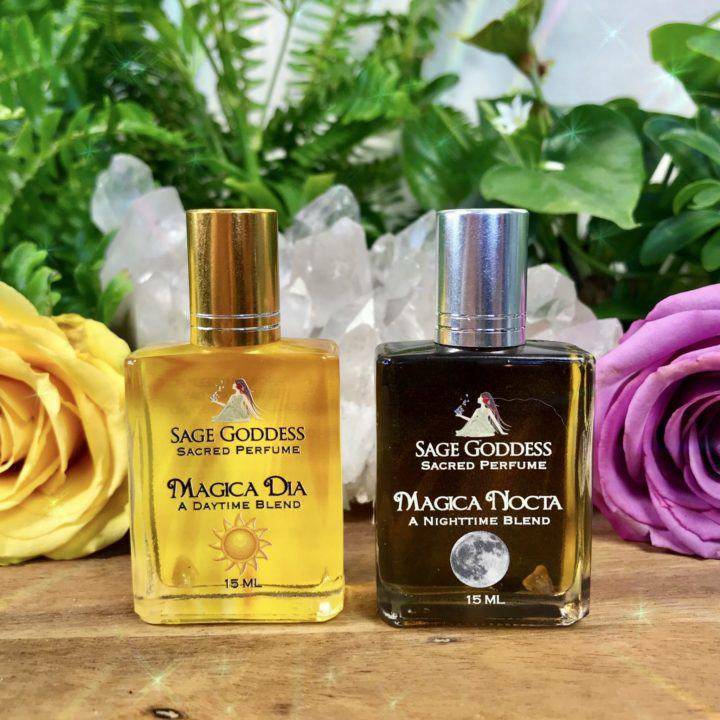 Magica Perfumes are meant to be your ally as you work your magic, in the daylight or darkness, by the light of the Sun or Moon. Magica Dia is the oil of the day. Of the fire and magic that happens during the day. The time to get things done. Are you a morning person? A go-getter who rises with the rays of the Sun? This is your blend. A blend for daytime magic and activity. One to harness the energy of Grandfather Sun as you work your daytime magic. It’s designed to be your partner in all daytime activities, whatever they may be for you. 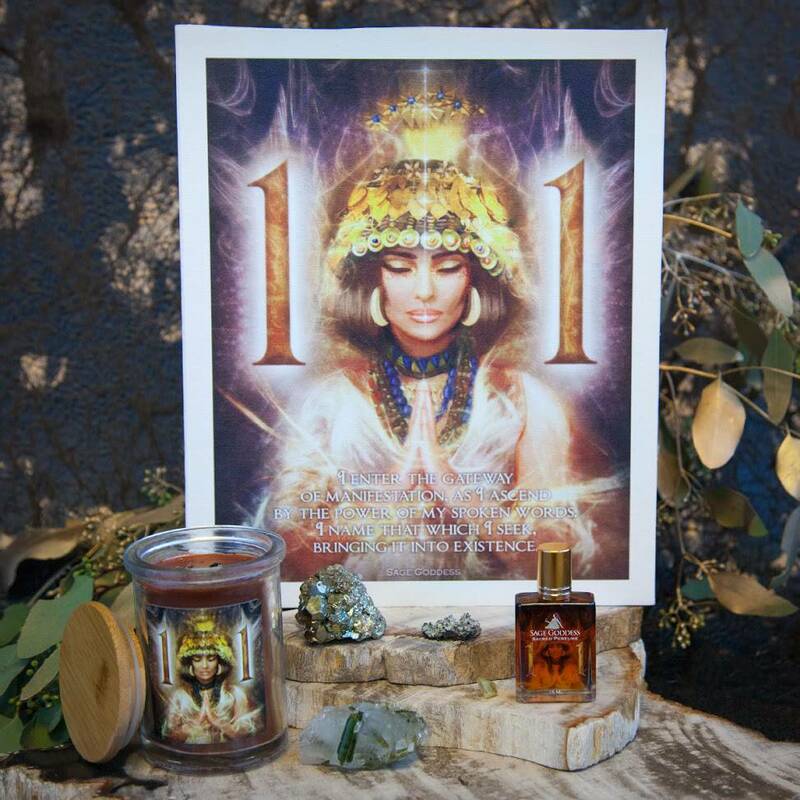 This oil says, without reservation: “I am of the daylight, I am of the Sun. I am fueled with the fire of the light.” Magica Dia was bottled at the Summer Solstice, to harness the light during the Sun’s longest day. It’s a summertime mix with notes of citrus, juniper, and myrtle. Each bottle is infused with a sunstone chip stone for extra empowerment. 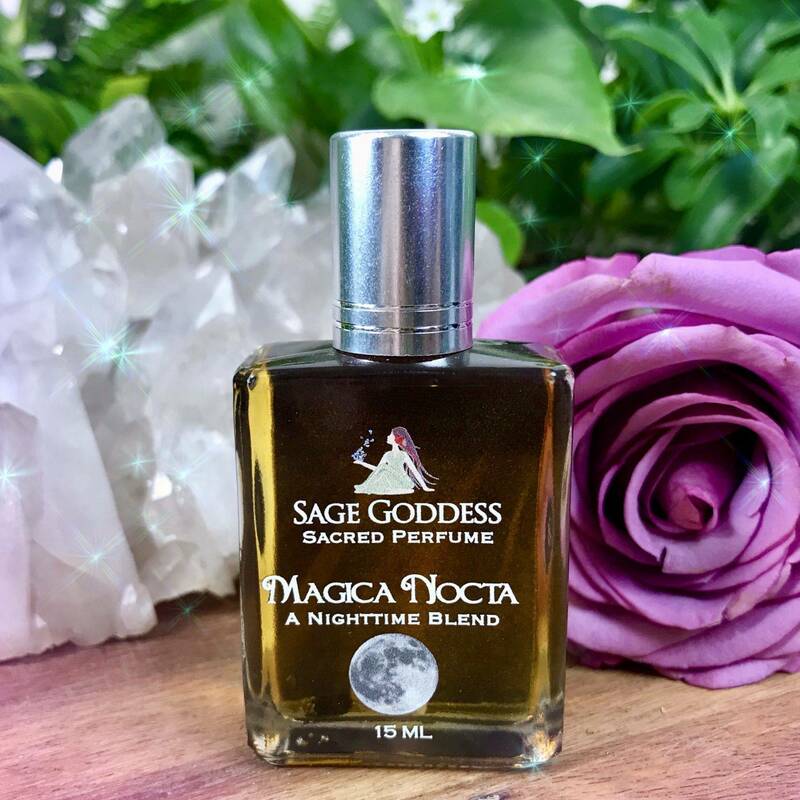 Magica Nocta is the oil of the night. Of the magic that happens at night. The witching hour. The darkness we illuminate with candlelight. This blend is a tribute to Cerridwen, the goddess of the cauldron. Magica Nocta will stir your passion. It’s designed to be your partner in all night activities. I leave the definition of such activities to your wild and creative imagination. This oil says, without reservation: “I am of the night. And I let the night take me.” This blend has notes of gardenia with her arms wrapped around pomegranate, toes dipped in sugared plums. Each bottle is infused with my hand-made black tourmaline essence and obsidian and amethyst chip stones for protection, grounding, peace, and spiritual clarity. Night workers, use Magica Nocta to call forth and amplify the energies of the shadow and the Moon. Use it as you work to illuminate your shadow self. 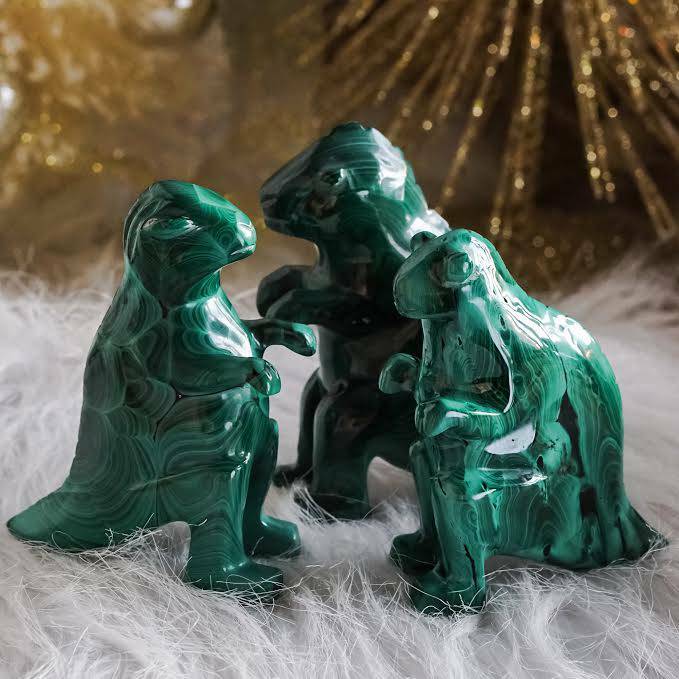 Sun children, use Magica Dia to call forth and amplify your connection to the solar energy and light of day to fuel your energetic work. To amplify and seal your intentions with fire. Speak the blessing on the bottle aloud as you embark on your daytime or nighttime work. If you’re a child of the night who struggles to be productive during daylight hours, use Magica Dia to call forth the energies you lack for daytime magic. If you avoid shadow and night work, finding your peak in the sunlight hours, then use Magica Nocta as your ally to embark on a nighttime journey. As always, trust your intuition and anoint yourself, gemstones, and other tools with these blends as you feel called. This listing is for one (1) set of Magica Perfumes (15 ml each) at a special price. You can also buy the perfumes separately. Choose the option that calls to you from the drop-down menu. Yours will arrive lovingly parceled for your enjoyment.